ARTICLES | Can You Master Anything with Deliberate Practice? Can You Master Anything with Deliberate Practice? People overestimate how long it takes to get good at a skill, confusing it with mastery. In this post I explore the difference and provide strategies for rapid skill acquisition. 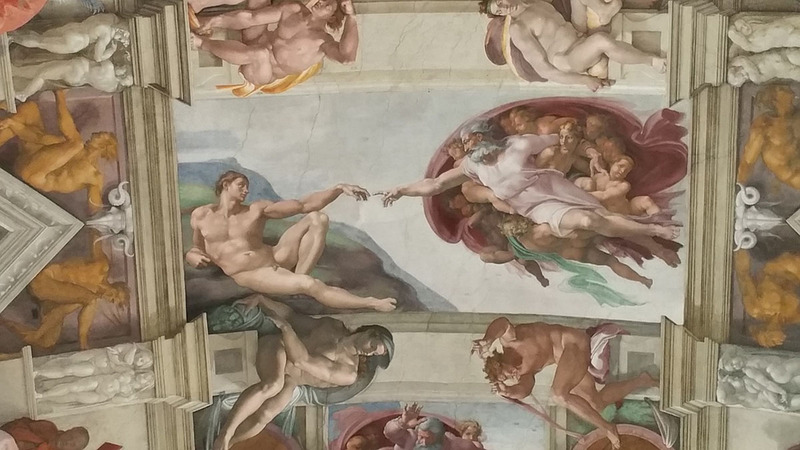 When Michelangelo finished painting the 400 life-sized figures on the ceiling of the Sistine Chapel in 1512, praise of him as “divinely gifted” was taken so literally that some revered him as a saint. While he probably possessed some innate artistic ability, Michelangelo believed the years of hard work he spent honing his skills were more critical to his success. These types of quotes are often used out of context to make the case that the only thing needed to achieve mastery is hard work. But what’s often overlooked is that the quality of practice matters just as much as the quantity. If I spend everyday for the next 10 years painting on my own, I would improve a lot but I probably wouldn’t become the next Michelangelo. This is because I don’t know how to go from beginner to intermediate to expert – I don’t know how to structure my practice and what skills I need to work on. Learning anything is like building a house. There are different ways to do it, but some basic fundamentals are always required. Just as bricks and mortar lay the foundations for a house, the right mindset and high quality, deliberate practice, Michelangelo was referring to lay the foundations for successful learning. Deliberate practice is more than just doing something repeatedly – it’s goal directed and involves striving to reach beyond current performance levels. And research on neuroplasticity tells us that this type of deliberate practice changes the structure of the brain and allows us to perform at higher levels. How much deliberate practice do we need to do? Just as we need more bricks and mortar to build deeper foundations for a bigger house, we need a more robust mindset and more deliberate practice to improve in a skill. The volume of deliberate practice we need to do depends on our goals but people often overestimate the time it takes to perform well at something. This is because they confuse high performance with the type of exceptional mastery displayed by Michelangelo in the frescos of the Sistine chapel. They confuse the foundations needed to build a 3-story house with those required to build a skyscraper. This mistake is mainly down to a focus on quantity over quality and confusion about popularised research, like the so-called 10,000 Hour Rule made famous by Malcolm Gladwell in his bestselling book Outliers. The 10,000 Hour Rule - A Requirement for Mastery? The 10,000 Hour Rule is based on research by Anders Ericsson of Florida State University, who found that the average amount of practice people had invested to become an expert in their fields was 10,000 hours over a decade. That's 20 hours per week, 50 weeks per year for 10 years. And remember that the highest performers spent the majority of those hours in the type of high quality, deliberate practice outlined before. What most people conclude from this is that if you want to learn a new skill, you’re in for a long haul. And when these numbers get thrown around as a benchmark, it only reinforces people’s tendency to overestimate the difficulty of learning something new. When most of us are lucky if we can set aside a few hours per week, hearing it takes 10,000 hours to get good at something makes us not want to bother at all. There are two crucial things to remember about Ericsson’s research and the 10,000-Hour Rule. 1) It’s a study of expert level performance so if winning the PGA Tour or Wimbledon isn’t your goal you don’t need 10,000 hours of deliberate practice. 2) Ericsson himself states that the quality of your practice matters just as much as the quantity. This focus on quality over quantity is something that’s emphasised by a number of skill acquisition experts, such as author Tim Ferriss. In The 4-Hour Chef, Tim claims that it’s possible to become world class at anything (the top 5% in the world) in 6-12 months and has achieved exceptional results in language learning, swimming and cooking for himself and his readers. Similarly In The First 20 Hours Josh Kaufman describes how he went from beginner to intermediate in 6 new skills including programming, windsurfing and yoga through just 20 hours of solid preparation and deliberate practice. What’s common to both of the methods outlined in these books is a focus on good preparation, effective learning methods and consistent deliberate practice. Quality matters just as much, if not more than quantity. People often overestimate the amount of time it takes to achieve a high level of competence, confusing it high-level mastery. In reality, it's possible to get good at something in far less time with good preparation, effective learning methods and high quality, deliberate practice. Do you have the motivation to pursue this goal? Do you really want it? You won't challenge Usain Bolt if you only do sprint training when you feel like it and work in an office from 9-5. Clarify why it is you want to pursue this goal by visualising the desired outcome in detail. Do you want to be the best in the world or just good enough to do something well without embarrassing yourself? Write these down and make sure that they’re measurable and specific. Have you chosen a practice schedule you have the discipline to stick with until you achieve your goal? It’s better to under commit initially and add more hours after a few weeks than to get disheartened when you don’t live up to your ambitious schedule and throw in.